Baahubali 2 is all set to release on April 28 and boy we are all are curious to watch the film. Baahubali 2 is all set to release on April 28 and boy we are all are curious to watch the film. Till now we only wanted to know the answer of WHY did Kattappa ****ed Baahubali. But the Baahubali: Conclusion has more to it and one of them is Prabhas’s third character Vikramadeva. Yes. He is the father of Amarendra Baahubali and in the beginning of the Conclusion you will see Kattappa narrating the story of Vikramadeva to Baahubali Junior. Vikramadeva is the brother of Bajjaldeva who is very clever as fox and is super jealous of him as he is the king of Mahishmati. Well we are damn excited to see the third role of Prabhas and we must say that the makers succeeded in keeping this character hush hush. 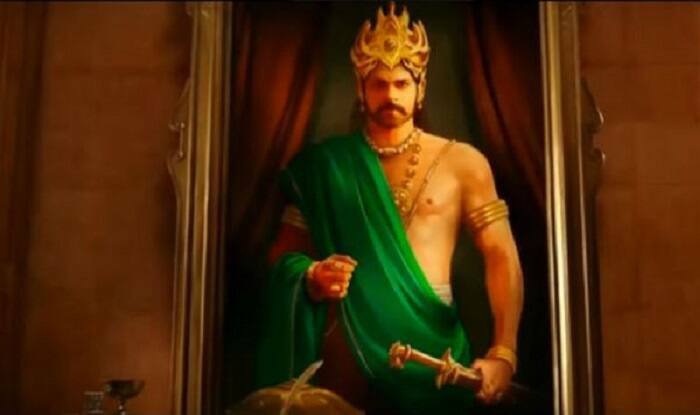 Talking about the look, in the first part SS Rajamouli showed the painting of Maharaja Vikramadeva, but now we might get to see him in action. Talking about the trailer, it was magnificent, the fans went berserk and are eagerly waiting to watch the film. The film will be releasing in 6500 screens worldwide and it will definitely break all the records. The makers even released the first part of the film to relive, however it didn’t get that response at the box office.